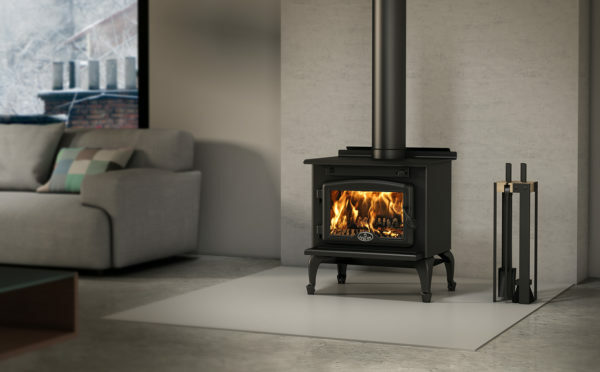 The Osburn 900 Wood Stove is the smallest wood stove in the Osburn line and incorporates the features and technology of larger stoves. 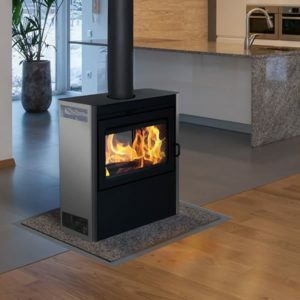 This EPA approved stove packs a lot of heat with style! With an output up to 40,000 BTUs/hour, this sturdy little heater will keep you warm and toasty. In spite of its size, the Osburn 900 Wood Stove takes an adequate log length of 17″, making it an admired option in the small stove market. This unit comes standard with a black door and black cast iron legs. The door handle is adjustable so you can fit it to your needs. Heating Capacity: 250-1,000 sq. ft.